Burton Snowboards is the world's leading manufacturer of snowboards. Burton Snowboards was founded by Jake Burton Carpenter in 1977, the company specializes in a product line aimed at snowboarders and includes hard goods, outerwear, and accessories. 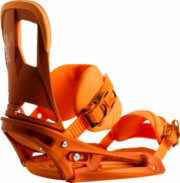 View all Burton Videos at Gear-TV.com. Burton Cargo Pants - The utilitarian shred pant that is the Burton Men's Cargo Pant is often imitated, never duplicated and always asked for by name among novices and seasoned vets alike. Sig Fit styling lets you layer it on without being overly baggy, and copious cargo pockets made mid-day lodge stops a thing of the past. Whether you're riding in bright sunlight or through riotous snowstorms, the Cargo pant keeps your precious cargo dry and protected from the weather. Burton Poacher Pants - Loaded with features ideal for all-season shredding, the Burton Men's Poacher Pant is a no-brainer for those searching for a snow pant that won't break the bank. Keeping you dry throughout a variety of conditions you'll encounter when slicing up corduroy, jibbing through the park, or charging the pipe, the Men's Poacher Pant features a waterproof and breathable DryRide Durashell membrane. Fully taped seams further reinforce the waterproofing in these pants by eliminating weak spots that would normally let in moisture over time. 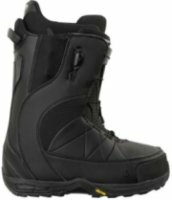 Burton Moto - Burton Moto Boot - Men's: Best Selling men's boot out there. The Moto offers top tier comfort at an awesome price. Make it to the lift line in record time with the Speed Zone lacing and make sure to snag first chair!Speed Zone Lacing. Lightning fast lacing control. Customize the fit of the upper or lower zone in seconds, and because the system is so powerful, you get more rebound, more wrap, and better response--with less effort. Burton Ruler - Burton Ruler Boot - Men's: Rule the world! Like the Burton Ion, but a lot easier on the wallet. Push your skills to the pro level with the Ruler. Better get a bigger tape to measure your cliff drops with the Ruler!Speed Zone Lacing. Lightning fast lacing control. Customize the fit of the upper or lower zone in seconds, and because the system is so powerful, you get more rebound, more wrap, and better response--with less effort. 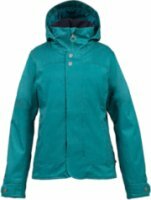 Burton Method Jacket - Burton Method Jacket - Women's: A trendy number that won’t quit on you by noon, the Method Jacket form Burton Snowboards is a definitely necessity. Booting kickers, jibbing rails, or tracking out fresh pow lines – the Burton Method Jacket offers ultimate warmth with total mobility. The NEW Trail Mapped and Zonal 3M insulation proves that you can have a lightweight and stylish jacket with the warmth of a puffy. With enough pockets for everything you need to keep you going, the Method Jacket from Burton Snowboards will keep you on the mountain and out of the lodge. 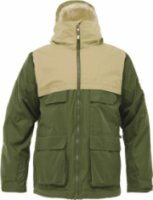 Burton Poacher Jacket - Burton Poacher Jacket - Men's: A whole lotta jacket for not a lotta cash. That being said Burton did not hold back when offering up the Poacher jacket. Held up to the standard of his compadres, the Poacher won't let you down. DRYRIDE Durashell 2L Fabric The DRYRIDE Durashell 2-layer fabric features technical weatherproofing and breathable properties in a buttery soft yet bomber package. Various insulations and lining systems can be incorporated to fine-tune the overall warmth, comfort, and breathability of the garment. Burton Lucky Pants - Will regardless if your first chair on the mountain or last chair of the evening, the Burton Lucky Pant is going keep you covered from start to finish. Mother Natures cruel tendencies are no match for the 2 layered Twill fabric if Dryride Durashell waterproof and breathability of 10,000mm and 10,000g. You'll have a micro-porous coating applied directly to the backside of the DWR-Finished outer fabric providing waterproof/breathable performance. Internal Taffeta Lining provides a shell feel with a dash of warmth to keep your legs ready to ride in the coldest conditions. Burton Arctic Jacket - Burton Arctic Jacket - Men's: A green evolution for the next revolution. Burton Snowboards racks up some points with the environment by introducing an eco-minded shell ideal for the year-round rider. 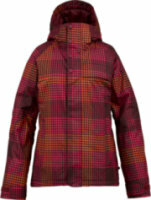 Make the earth happy and check out this new jacket from Burton Snowboards. Natural waterproofing: check. 100% recycled material: you betcha. It may not be as biodegradable as your post-consumer recycled content cutlery or your hand carved wooden bicycle but we can promise you that the two-tone twill pattern and the yarn-dyed herringbone stripped alternative are equally as avant-garde. Burton Gloria Pants - Burton Gloria Pant - Women's: Slimmed up and tailored to fit like your favorite pair of low-rider jeans, the women's Burton Gloria Pant also includes a touch of stretch so there's no compromise in coverage or comfort. These silky amd soft taffeta lining wicks away moisture like never before. The NEW DRYRIDE Nanoshell 2L fabric repels water so fast that you stay dry no matter what. Hidden features include heat-releasing inner thigh vents, cuff-protecting Leg Lifts, and a cozy microfleece fly and waistband. 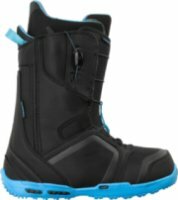 Burton Driver X - Burton Driver X Boot - Men's: Made for those of you who earn your turns, the Driver X feels at home on sketchy bootpacks and exposure. Not only that, but it's the stiffest boot you can buy! Made for those who demand the most out of their boot. Speed Zone Lacing. Lightning fast lacing control. Customize the fit of the upper or lower zone in seconds, and because the system is so powerful, you get more rebound, more wrap, and better response--with less effort. Burton Indulgence Pants - Burton Indulgence Pants - Women's:Stand out on the mountain in this sassy slim fit style. Some may say you're a hipster, but they don't know you're actually leader of the pack! Sag 'em, ride 'em, love 'em! The women's Indulgence pant is Slim to feel like your favorite low-rider jeans, but built to work with your every move with extra-special stretch properties. Fashion-driven without compromising function! The silky taffeta lining adds warmth while wicking away moisture. 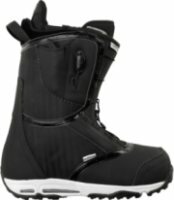 Burton Cartel EST - Burton Cartel EST Binding - Men's: Most of Burton's pros choose the Cartel EST. Competition-crushing control meets mind-altering feel! Burton's patented AutoCANT cushioning reduces fatigue and provides smoother, more direct board control. The lightest weight, most comfortable straps yet team up with a redesigned hi-back to wrap a new level of response around your boots. A shade more powerful than the Malavita but not quite as aggressive as the Diode, the Cartel EST offers the perfect balance for owning everything. Burton Imperial - Burton Imperial Boot - Men's: A banquet dinner on a buffet budget! The Imperial is 30 years in the making. Burtons boot building expertise was all you've been waiting for, and broken in right out of the box!Speed Zone Lacing. Lightning fast lacing control. Customize the fit of the upper or lower zone in seconds, and because the system is so powerful, you get more rebound, more wrap, and better response--with less effort. 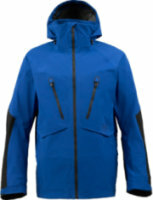 Burton Jet Set Jacket - The Burton Jet Set Jacket brings you luxurious treatment in jacket form. The Jet Set features DRYRIDE Durashell 2-Layer Woven Dobby Fabric that keeps you dry by locking water out and letting the sweat escape. The Jet Set is mapped with 40G of 3M Thinsulate Insulation to keep you warm while you shred. If things get too warm, open up the pit zips and let the cool air in. Critically Taped Seams lock out the moisture preventing them from slipping through the cracks. 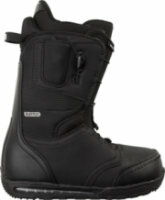 Burton Hail - 2012 Burton Hail Snowboard Boots: Hailing frequencies have been sent to outfit your feet in these freestyle Hail Burton Boots. Their Stay Puft Tongue brings to you a padded, smooth forward flex movement so you can get freaky tweak on. That’s right, bone it out. Bone to your hearts content, just don’t bury yourself because the comfort of Rad Pads eliminate pressure points atop your instep caused by lacing and are to be enjoyed to the fullest extent of freestyle fundamentalism. 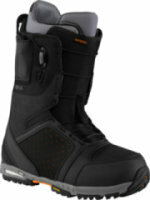 Burton Ambush Snowboard Boots - The Burton Ambush Snowboard Boot has a lightweight feel and mid-range flex. 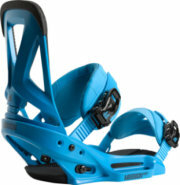 This boot gives you support and flexibility, so you can ride the whole mountain with equal ease. The Dynolite sole is 20% lighter than traditional soles, and it has B3 gel worked in to absorb impact. The Focus Cuff feature locks your heel down in place for increased comfort and response. SpeedZone lacing completes the package, allowing you to get the exact right feel every time. Burton AK 2L Cyclic Pants - The Burton [ak] 2L Cyclic Snowboard Pants are give you the best in waterproofing technology to keep you dry and comfortable on the mountain even in bad weather conditions. The [ak] 2L Cyclic pants are constructed with a Gore-Tex fabric and Burton's miracle membrane technology for the ultimate in waterproof protection. Combine that with the lightweight insulation and built-in venting options, and you've got a pant that can keep up with you from when the lift opens to when it closes. Burton Custom Flying V - Burton Custom Flying V Snowboard - Men's: The board to answer all terrain. This is the snowboard that others are measured against. You want the best of both worlds, camber and rocker? Look no further than the Burton Custom Flying V. The Squeezebox core design delivers more pop, snap, and handling. Diecut Base Color Combinations May Vary. Gondola Package. Setting the benchmark with boards that are lighter, faster, and stronger for more air, quicker turns, and more fun no matter what the terrain or conditions. 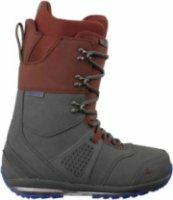 Burton Emerald Snowboard Boots - The Emerald is the jewel of the Burton snowboard boot line and features high comfort levels so you can shred the mountain all day long. The Emerald snowboard boot is made for the ladies who love to shred as much as turn heads. Yea, we're looking at you shred Betties. The Emerald boot features a women's-specific True Fit design so make sure to keep your boy toys out. The Speed Zone lacing system gives you true zonal control for a truly customized fit. Burton Society Pants - Back in the valley, living large means shopping sprees and cars worth more than a house. But, on the mountain, the Burton Women’s Society Pants grant you one-percenter status thanks to the way they wrap you up in luxurious warmth. Slide into these pants and enjoy five-star comfort without the five-star price tag. The Society pant provides protection where it counts. The waterproof breathable DryRide Durashell membrane and fully taped seams handle nasty winter storms. Burton AK 3L Hover Jacket - [ak]: ergonomic minimalist design resulting in unrivaled on-mountain performance. The [ak] 3L Hover Jacket from Burton is built guide-tough. GORE-TEX® waterproof technology for superior waterproof and breathability gives you the best on mountain performance with the [ak] 3L Hover Jacket. The Burton [ak] Jacket-to-Pant interface allows you the option of turning your jacket and pants into a one piece suit for more protection from snow going where it doesn't belong. Burton After School Special Snowboard Package - You already know that snowboarding is the best thing ever, so get your kids started early with the Burton After School Special snowboard package. Taking the lessons learned from Burton's industry-leading Learn to Ride program, the After School Special combines its Flat Top profile with an Easy Rider convex base for a board that's catch-free to take the sting out of learning the ropes. The twin shape and soft flex will take them from falling leaf to linked turns in no time. Burton Mission EST - Burton Mission EST Binding- Men's: There's a million pairs of these out there...no joke! Rugged, reliable, and versatile, the Burton Mission EST® offers nuke-proof performance in a no-nonsense package. EST Bindings. By removing the materials from beneath your feet and replacing them with cushioning, we are able to drastically reduce weight and explore entirely new designs. With EST®, the possibilities for flex and feel are infinite, and so are the stance options.